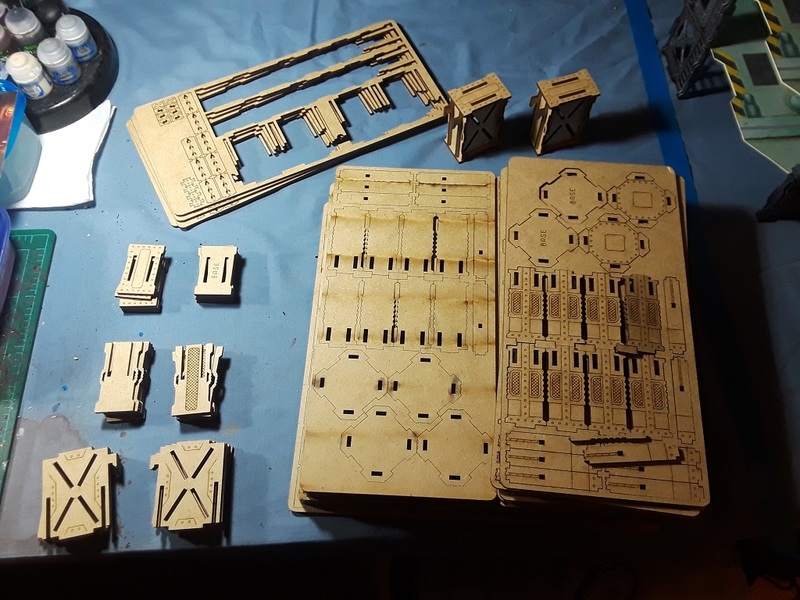 With the holidays behind me, I'm finally able to get back on the hobby horse and start putting together some of the goodies that arrived for Christmas! 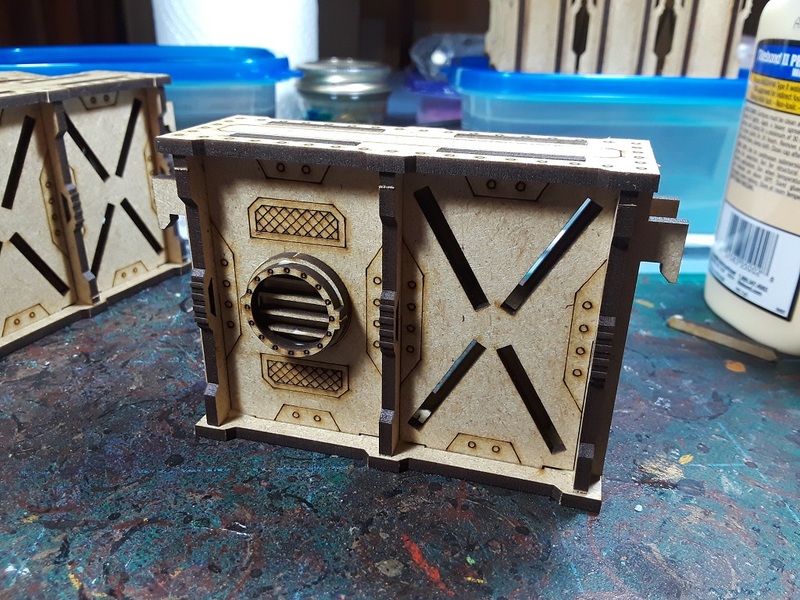 Figured I'd lead off the new year with another terrain project - Some MDF wall sections designed to work with the floor tiles in the new Necromunda set from Death Ray Designs! 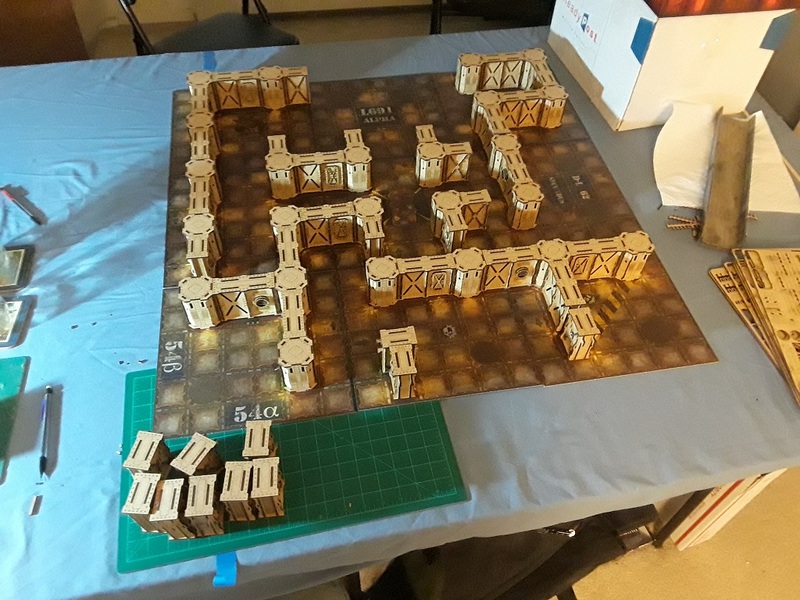 Over the Black Friday/Cyber Monday sales, they had a heck of a sale on their terrain kits, with the Deadbolt Derelict sets going for almost 30% off, so I snapped up a couple sets. Due to the volume of orders however they didn't arrive at my place until after Christmas. 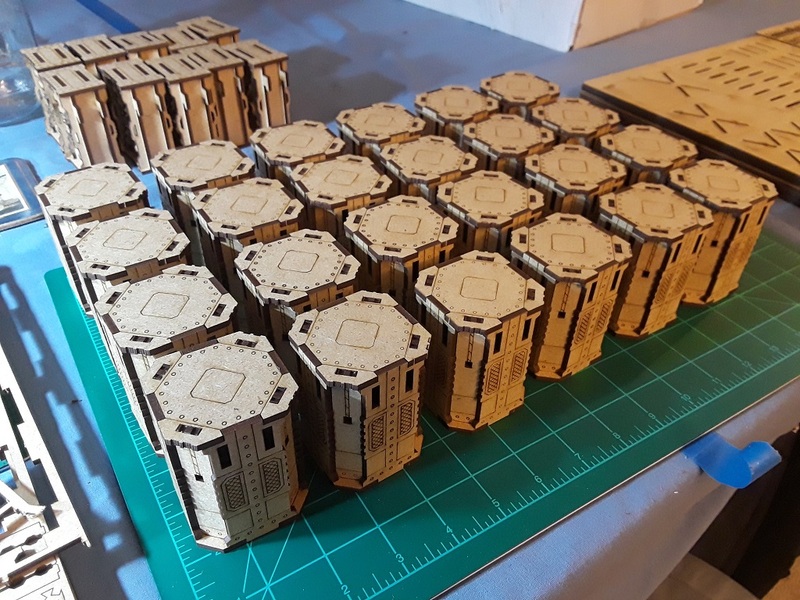 Nevertheless I eagerly unwrapped them and started punching out approximately one zillion little MDF chunks. 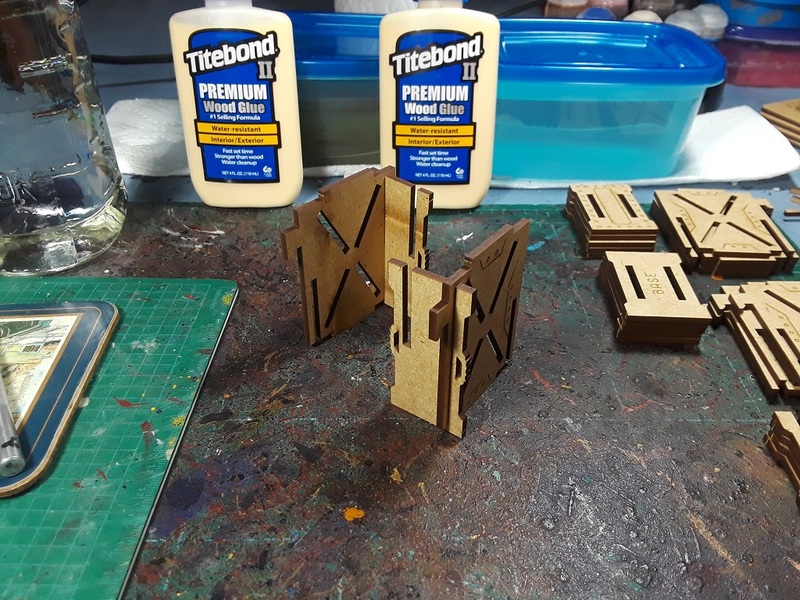 Lesson learned from my previous foray into MDF work, use the proper glue! Previously I'd gone with superglue (not knowing any better) which was very brittle and didn't stick well. 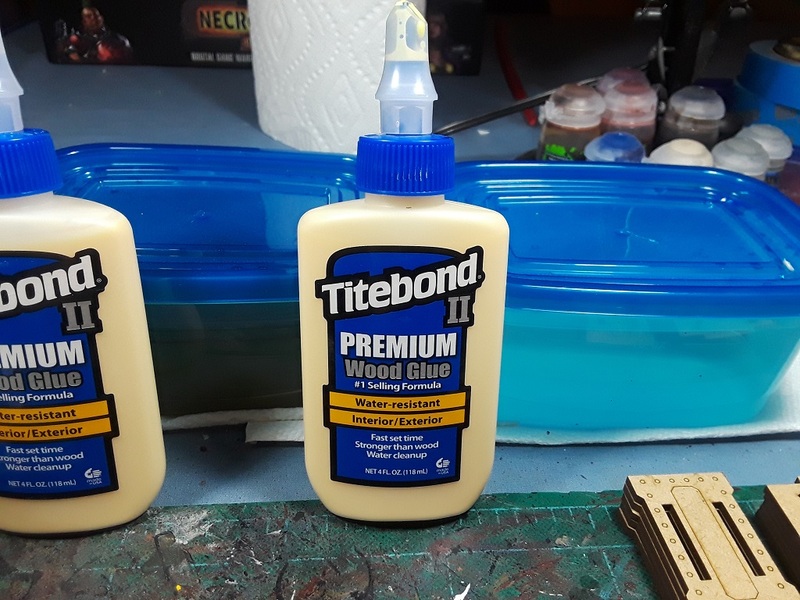 Following some recommendations online I picked up a couple bottles of Titebond II wood glue, and have to say that my experience with it during this project has been a revelation. Highly recommended! Really impressed with how the kit is designed to fit together. It's a mix of cross-lap and tab-and-slot joins which all fit together beautifully with the barest minimum of sanding/trimming. 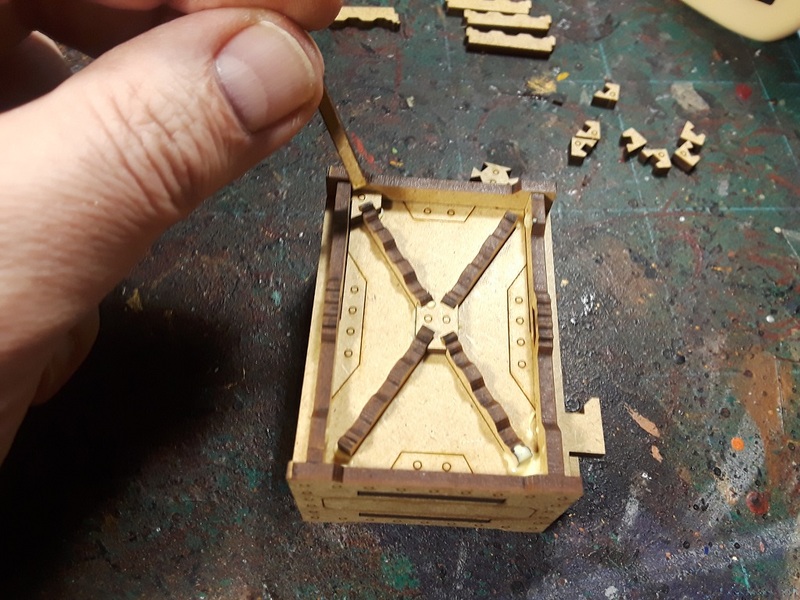 While they do all press fit together, some glue is definitely needed to hold everything in place - they will not simply hold together under their own power. ...Especially when you have to repeat it 20 times! ...Because there's 24 of them to do! 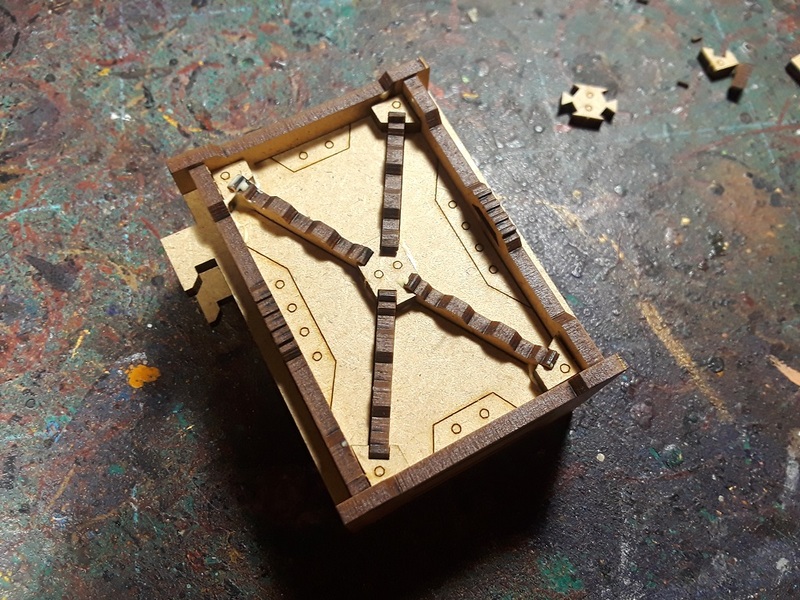 You'll note the slots in the sides, which are designed to allow the wall sections to hook in place in a rather clever way so inadvertent bumping of the table won't toss wall sections around like dominoes. 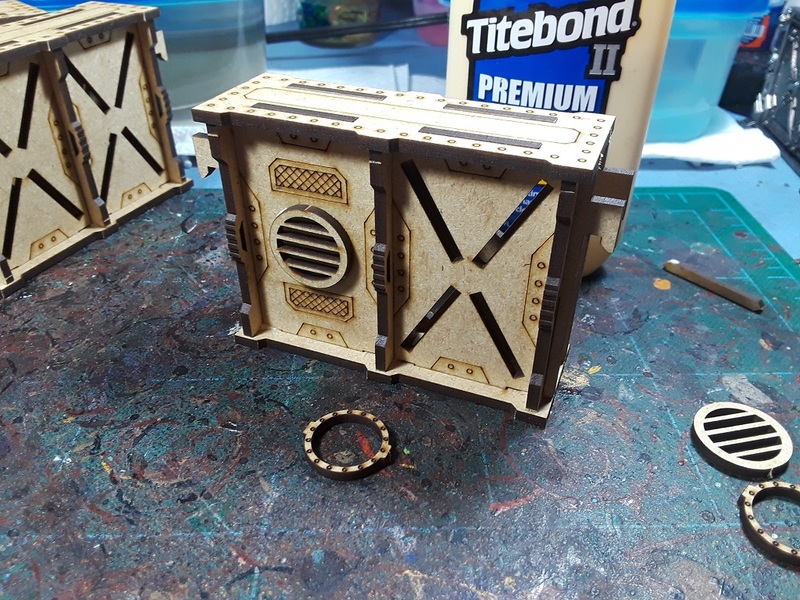 Some have vents in one panel, which should look neat with various slime oozing out of them as part of the painting process. ...And some have little hatches built in. Thank the Maker that the doors are just single-piece additions. Of course, there's still approximately half a zillion little X-shaped detail panels to install. Eurgh. 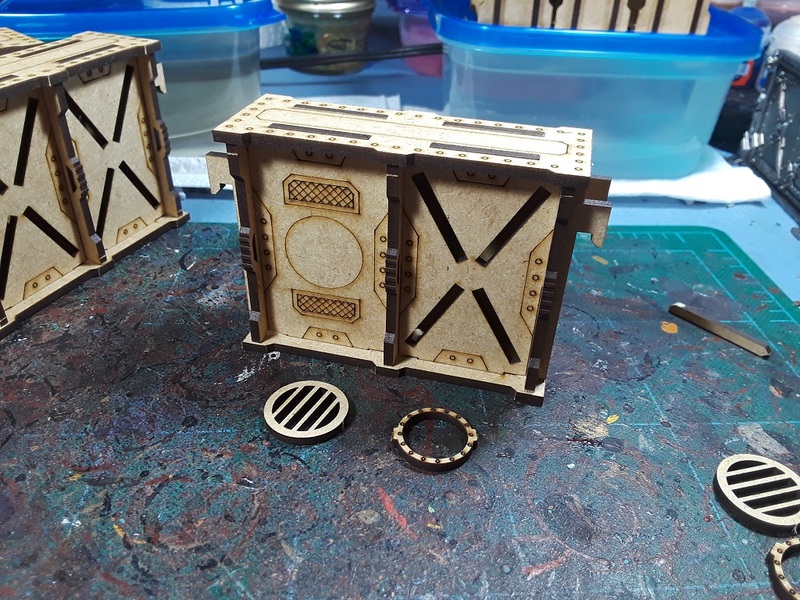 Before I went completely mad installing all the details I wanted to see how the walls looked on the boards and overall I am well pleased. 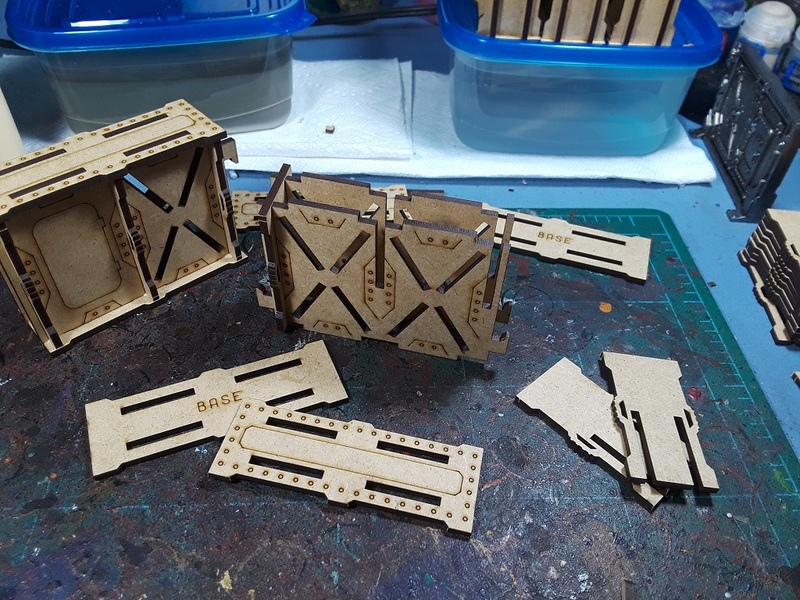 Interestingly, the kit is technically short a couple columns to completely populate the boards, but a spare short wall section fills the gap well enough. I'm not sure it that's a conscious design decision on their part, or if I may have gotten a mis-pack - it does seem as though I had a bunch of leftover walls and not enough columns, perhaps there was a sheet swap somewhere along the way? 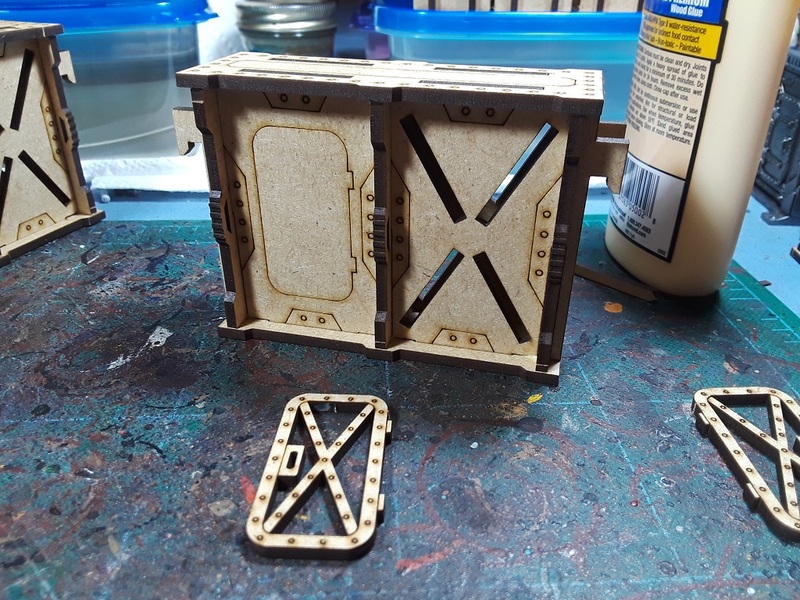 In any case I am really jazzed about the kit for use in both Necromunda as well as Zone Mortalis on the Heresy front. Good stuff! 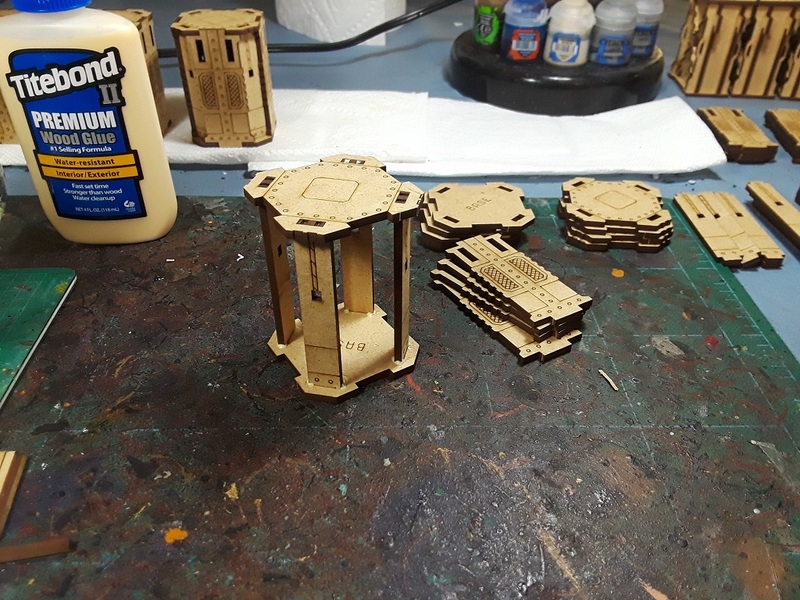 ...Now if only it would warm up enough that I could get some primer on 'em! Very impressive. 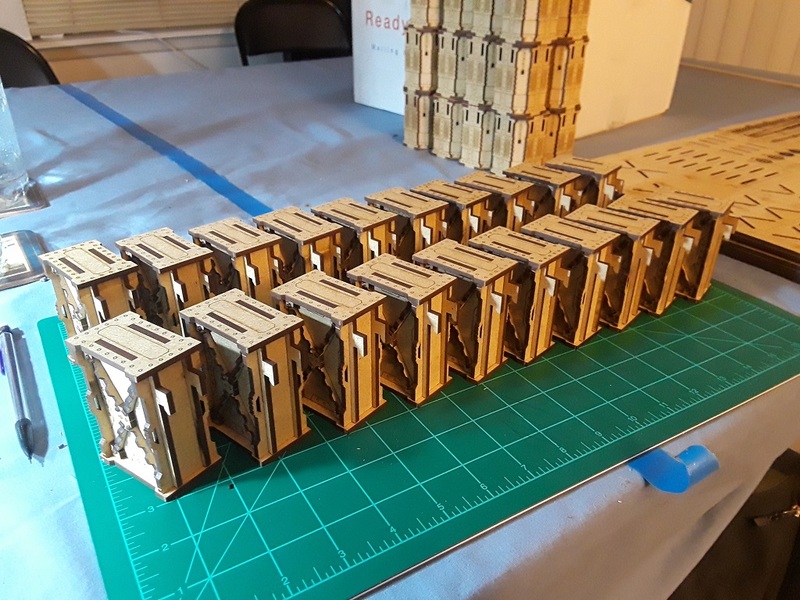 I missed this Kickstarter, the hard work you have put in has made some impressive looking scenery. You could always spray indoors when the wife is out. Then cover the smell by cooking a delicious curry. A double win !!! Dude. 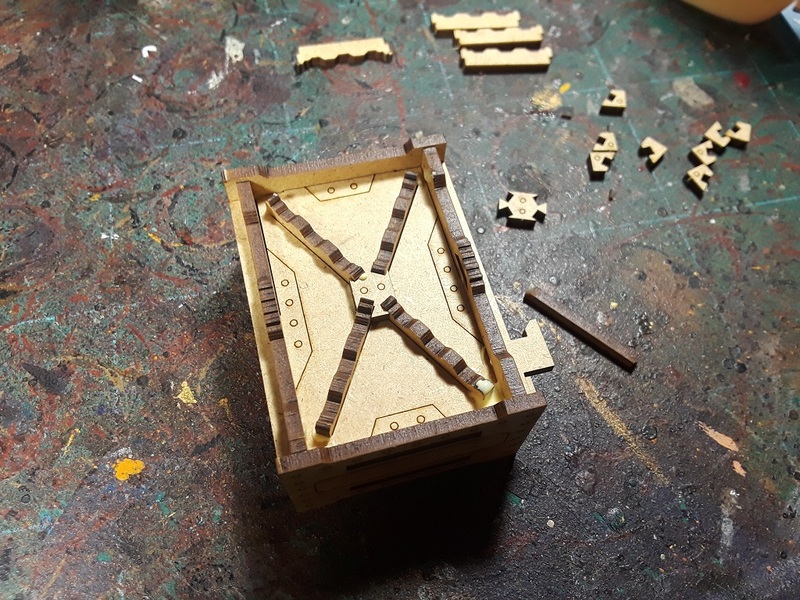 That really kicks the Necromunda boards up a couple of notches. 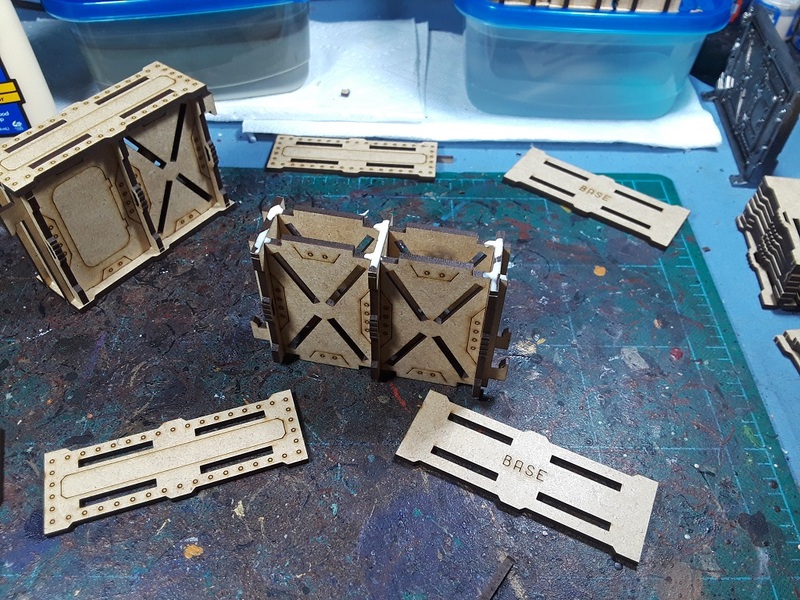 And I have to day, being able to use wood glue is one of my favorite things about MDF kits. 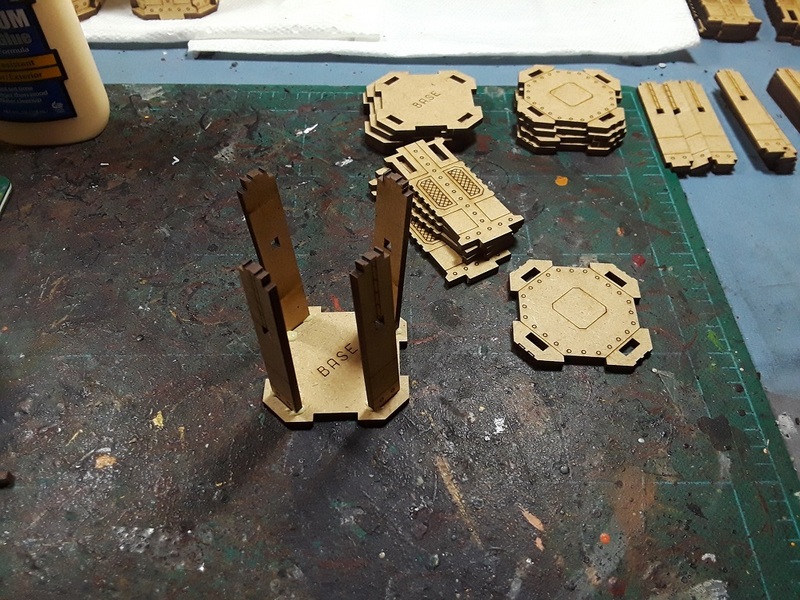 So much more working time than superglue. Indeed! Was amazed at how much better they went together using the proper glue! Cheers! 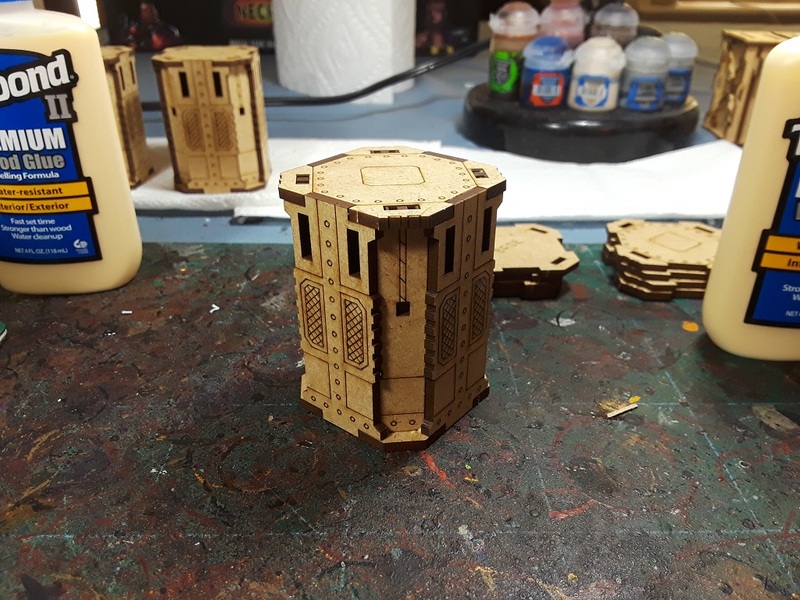 Mostly planning on weathering and ooze at the painting stage, as well as some paste-up handbills like I'd done on the old bulkheads. 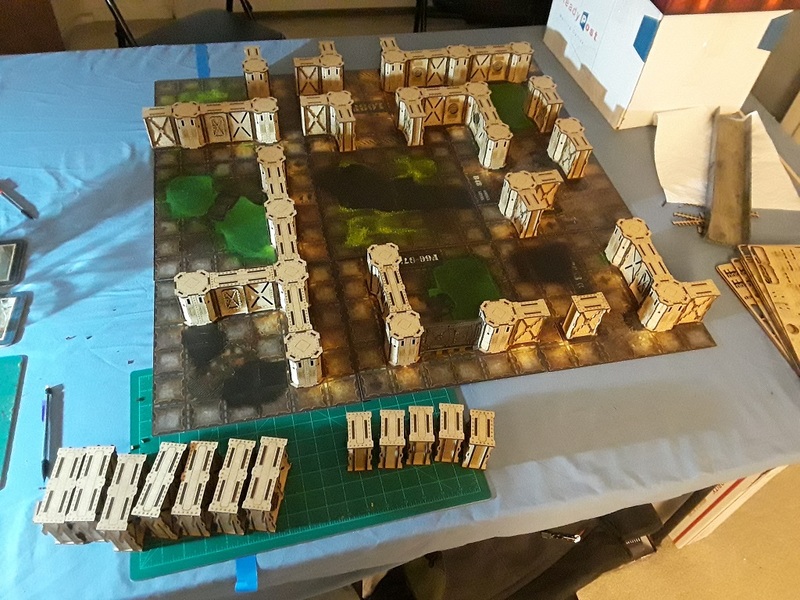 These are way more convenient than the last set you built! Can't wait to see these painted and rusted up. Lovely looking set and fair play to you for powering through, good job. I might have to so similar if I ever go for a ZM board. Aye, that was what really got me - The option of using it for ZM in the heresy was too good to pass up! A lot of nice detail on those. Are you going to make them static boards in the end or keep them variable? Those are bloody nice mate. Really good way to jazz up some 2D boards for sure. Here's to some toasty weather so we can see them all painted up!